April 6-7 will be a weekend of sharing our club with family, friends, and the community. Saturday, April 6th is Family Day – post racing we’ll have a jumping castle set up in the park, family Laser races, RIB rides, and a kid-friendly BBQ on the deck. It’s free for all, but to help us with numbers for catering please RSVP here now. 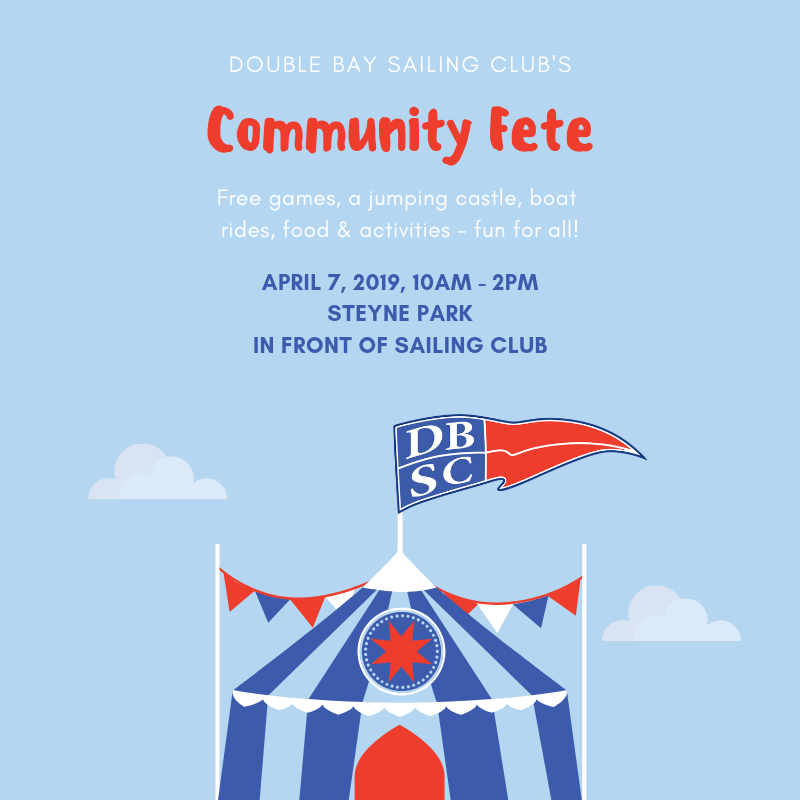 On Sunday April 7th, from 10am to 2pm, DBSC is hosing our first Community Day which is a full-on fete for the wider community, complete with carnival games and many other activities. To pull this off we’re going to need lots of help, please email Kirk Marcolina if you can lend a hand. Also, it would be great if you could spread the word about this event by sharing our Facebook event page.